One of the main reasons for getting into more advanced smarthome, was smoke detectors. I was looking for a control panel for smoke detectors that could notify me if anything triggers, and especially if something triggers in my rental apartment. I ended up with Fibaro smoke sensor (FGSD002) and Home Assistant (HA). Before setting up my HA, I was testing them on my Telldus. This worked fine, but needed some advanced LUA-scripting to get all the functionality I wanted. 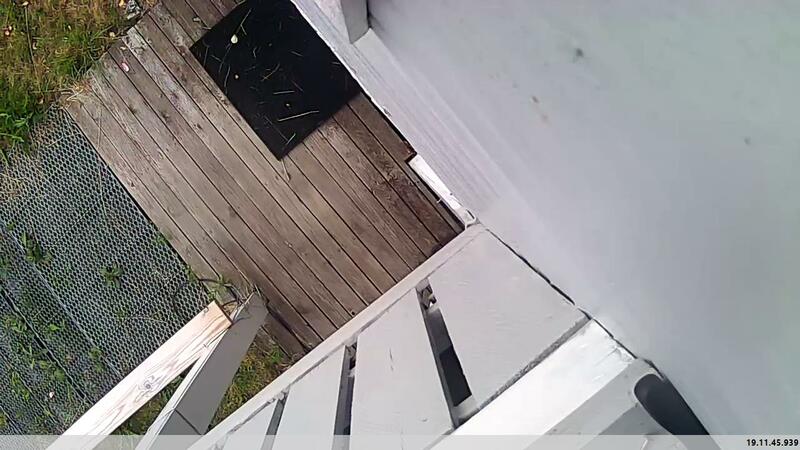 This was not ideal, when I probably was going to end up with 10-15 smoke detectors and no good frontend view. HA wasn’t straight forward, but a little simpler that Telldus with LUA. The best thing about HA, is the possibility to get a «control panel» function, with status on all my smoke detectors, like battery and if a trigger is sent (tamper and fire). I added them as secure node. If you are not familiar with adding node’s to HA, please read the docs. 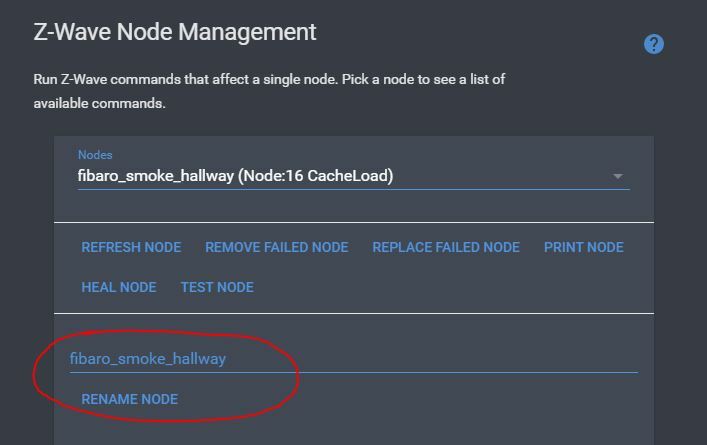 It’s mostly as simple as clicking «ADD NODE SECURE» and clicking the button on the smoke detector three times – but to add a secure node, you should have created a network key in your config. 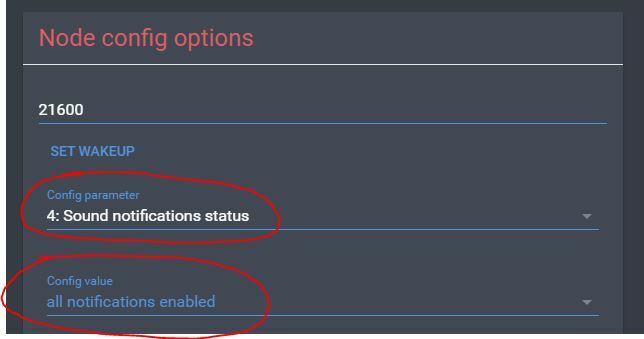 Click HEAL NETWORK after adding a new node. The smoke detector will not send a tamper notification if not configured to do so. I selected «all notifications enabled». This parameter should set that the smoke detector should broadcast the alarm to the other detectors in the same network. I have not tested this yet, so I’m not sure if they have to be in the same group association or not. 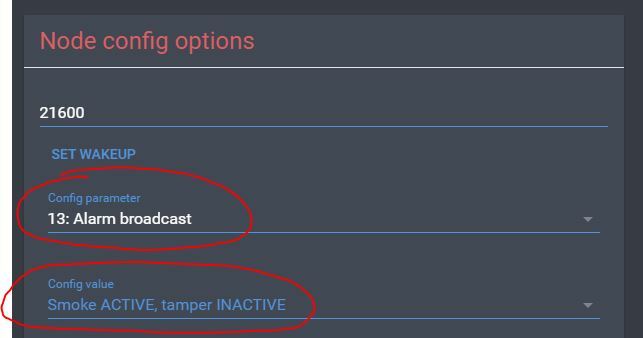 I selected the parameter «Smoke ACTIVE, tamper INACTIVE» – because I don’t see why it should send a tamper status to the other smoke detectors. Is not necessary, but give a little beep if you unmounted the smoke detector. 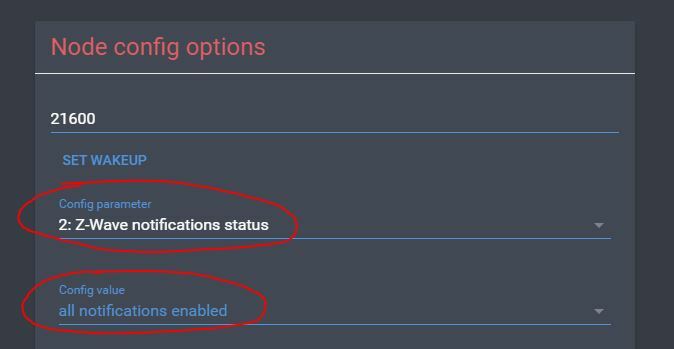 Tip: It could be useful to restart your HA after adding the node and giving it a name. Doesn’t look like the renaming is affected before a restart. Setting Node config parameters are needs the device to wake up. Clicking the button on the smoke detector once, will wake it up and making it receive the new settings. I have splitted up my config into multiple files, but here is the basic idea. See my full config on Github. # Smoke alert: Livingroom - alias: 'SmokeAlert Livingroom' trigger: - platform: state entity_id: sensor.fibaro_smoke_livingroom_alarm_level to: '255' action: - service: notify.notify data: message: "Fire detected in Livingroom" title: "Fire!" 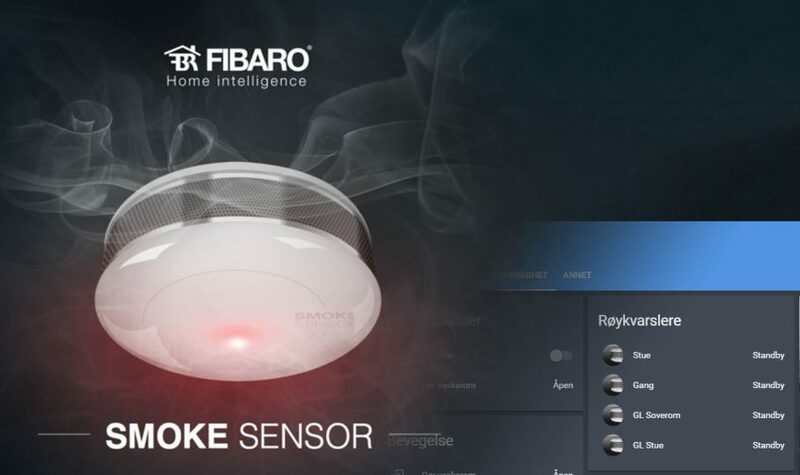 - service: notify.emergency_contact data: message: "Fire detected in Livingroom" # TamperAlert Livingroom - alias: 'Smokealarm Tamper Livingroom' trigger: - platform: state entity_id: sensor.fibaro_smoke_livingroom_burglar to: '3' action: - service: notify.ios_robertiphone7 data: message: "Smokedetector livingroom not mounted" title: "Smokedetector"
message: "Fire detected in Livingroom"
message: "Smokedetector livingroom not mounted"
The groups are set to view false, as the group themselves are included in other group. This is how it looks in my HA. 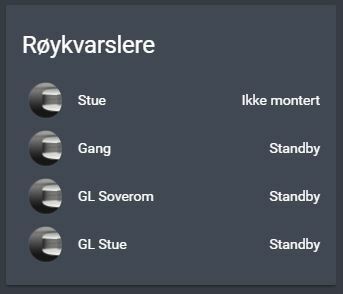 «Ikke montert» is Norwegian for «Not mounted». This value shows if I take the smoke detector down.